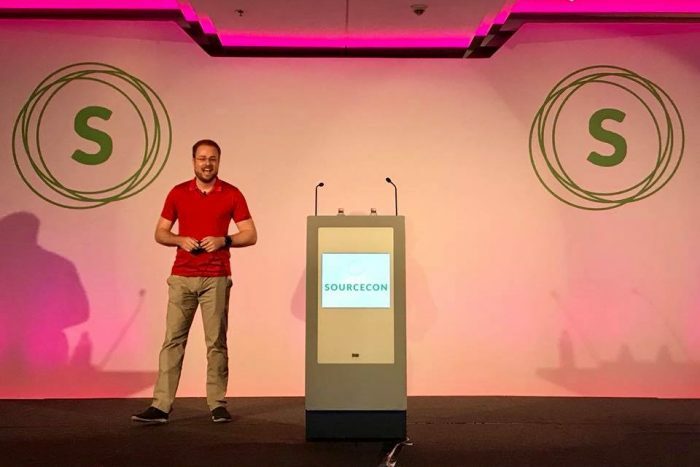 SourceCon Budapest 2018 was a first SourceCon conference in Europe and one amazing event. This conference is built by amazing people who like to share, and because I also like to share choosing the topic for my speech was a no-brainer. My presentation had a name: “Share Your Knowledge to Gain Knowledge.” I strongly believe that sharing is still the best way of learning and remembering things and that sharing is a critically fundamental human trait. We have been sharing for longer than we can remember, and this is also the way we have obtained most of our knowledge and skills in our life. Maybe you share because you feel a certain pleasure, happiness or satisfaction when you share some knowledge with others. This is one of the reasons why you and most people share. We are, by nature, social creatures, which means that we appreciate the companionship of others of our kind. This means we are capable of gestures that will bring others close to us or manifest feelings like compassion and altruism when we feel the need to share something out of the desire to help others. Can we say that sharing is embedded in our DNA? Well, not exactly, as some people don’t like to share or don’t do it very often. And that is OK. Some of us have to discover the joy of sharing one step at a time. It feels natural to share with the people we know, like family and friends; the real challenge is to share what you have with strangers, especially when you could get feedback on your work that might not be positive. I learned a lot during these years, and during my presentation, I also shared what I learned because of sharing, and these are the TOP 5 points that I learned. People share things that have the right type of emotion and things that give practical value. People share the things others are sharing and things that have a story. Sharing and explaining help you to remember things better. Being challenged by others can also help you learn even more. The more you practice explaining and sharing information the more your skills improve. Sharing your learnings encourages others to share theirs with you. And this will help you to find new information and learn new skills. I wrote a few articles for SourceCon about how typography influences readers, how people can be affected through different content formats and how the psychology of color plays a role in recruitment and more. All these things together, like typography, color, language, visualization, formatting, storytelling, presentation—everything is connected. And I was able to write these articles and share this knowledge with others because others shared their experience with me through surveys, theses, posts, articles, etc., and thanks to those people I was also able to learn more about other things. Things I learned from them have had a positive impact on me and my work, and I hope the things I shared with others have also positively impacted them. For my presentation, I asked SourceCon team if I could get some data about a few of my articles and if I could share that data and I was astonished with the effect that all these articles have had. Maybe there is somebody out there using the information I shared for something new that they will share with the world and it will also help me. This is one example of what sharing can do. This particular trait we have can take us a long way as we can change how things work. We can also share to make the communities in which we live a better and safer place, so the applicability of sharing is more than generous. As mentioned earlier, people mostly share because it makes them feel good. And this is probably one of the most popular reasons when it comes to sharing. The truth is that, no matter what we share, the gesture makes us feel positive feelings each time. You can start sharing because of that, or you may have some other reason. The majority of us enjoy sharing because we want others to feel the excitement and joy we felt when we discovered a particular thing. And this helps us create better and stronger social relationships. And the best part about sharing is that it makes us and the people around us feel better and we learn more, so it will always be a win-win situation.